Located off The Parkway A312, Yeading test centre is tucked between B&M Home Store and B&Q—guaranteeing the area to be pretty busy most days. Relatively large by driving test centre standards, Yeading is the starting point for many in West London. If you're looking to take your test here, we'd advise you read on for directions, pass rates, test routes and much more about Yeading. Yeading test centre is around 5 minutes away from the centre of Yeading—right next to The Parkway A312. Not far from the centre is Brookside Park and King George's Field. Learners certainly won't struggle getting to Yeading, as it's highly accessible. If you've not had a chance to head on over there yet, use these directions, and you'll get there hassle-free. Please note that access to the site is only available for candidates taking their test—so you won't be allowed to practice on-site. The centre also has on-site directional traffic systems and signage, so keep your eyes peeled when you head in. It’s common to fear the unknown—it’s why learners panic so much about the practical test. There's no way to get your hands on the exact test route you'll be taken on, as the DVSA no longer publishes test routes online. Fortunately, you won't have to worry about this. 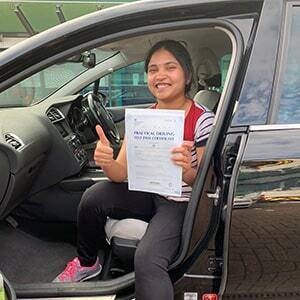 If you're taking lessons with a local instructor, they'll have you honing your skills on most of the roads and areas that will feature on your test route. So, the practical test should be a breeze, as long as you’ve paid attention in your lessons. If you'd like a better idea of the specific roads that might crop up, check out videos of Yeading test routes on YouTube. Fancy yourself as a bit stats-obsessed? 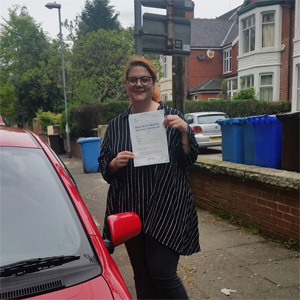 Want to see how other learners fare on the driving test? Well, you’re definitely not the only learner driver to say yes to either. That’s why we make sure to stay updated on all the latest stats published by the DVSA. The latest pass rates show that, if we look at the UK as a whole, the national average pass rate stands at 47%. If we’re looking more specifically at learners in London, the odds decrease—with a pass rate of 40.8%. How do things look at Yeading? Let’s be clear—these numbers aren’t great. In fact, if you check out our guide to the best and worst test centres in 2017/18, you’ll notice that Yeading sits dead last—not just in London, but in the entire country. However, there are some caveats here. First off, the test centre is quite new, with the first tests taking place here in late 2017. Secondly, from 2017, Yeading played host to only a very small number of practical tests. As such, these numbers may not be too instructive. We wouldn’t concentrate on pass rates too much. Whilst they’re fun to look at, they’re not going to have an impact on your test result. Even if you headed to the test centre with the best pass rate, it’s your performance on the day that will skew your result—not the average pass rate. What If I Can't Go To Yeading? Looking for an alternative or backup test centre to Yeading? There are plenty of Greater London test centres to choose from. Your closest options include: Southall and Hayes. The test route will eventually lead back to Yeading test centre, where you’ll park and turn off the ignition. You’ll be expected to wait until the examiner completes their feedback sheet—which they will give to you, along with verbal feedback—it shouldn’t take more than a few minutes. Once they’re done, they’ll give you their final verdict. If you pass, you’ll also be handed a test pass certificate and have the chance to send off for your new licence. The worst thing you can do if you fail your driving test is dwell on it. So many learners get preoccupied with comparing their results to other people’s. What’s important is that you learn from your mistakes. You can do this by opting for additional tuition to work over areas highlighted in your feedback sheet. Once you're ready to take the plunge again, you can contact PassMeFast on 0333 123 4949 or online—we'll get you back on the road in no time! Fed up of looking at your provisional licence? Ready to become a fully qualified driver? If you’re intent on getting passed as soon as possible, you’ll want to avoid traditional, hourly lessons. Instead, take an intensive or semi-intensive course with PassMeFast—along with an added fast-track practical test. 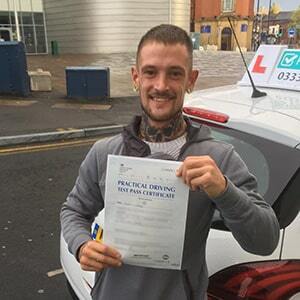 Get booked in today and take one step closer to getting on the road in the area of Hillingdon. Simply check out our course prices and give us a call on 0333 123 4949 to get booked in—or get a recommendation form one of our sales team. Alternatively, you can book your course online in mere minutes!